around st. patty's day there are always a ton of foods that are not naturally green but are dyed green for the sake of holiday spirit. typically, i try to avoid food coloring as much as possible. in an effort to not sound like a total st. patty's day scrooge, i decided to make something festively green in honor of st. patty's day this weekend. it's naturally green and it's super healthy too! 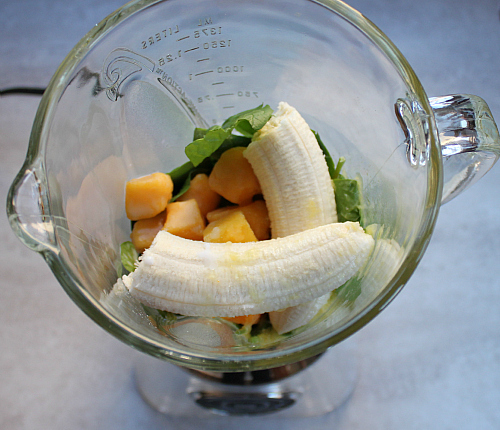 thus, i present to you this awesome green smoothie. 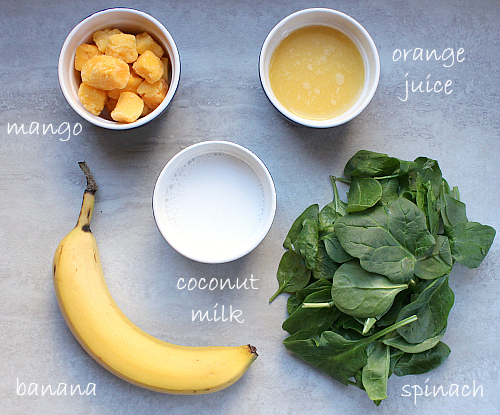 the fresh spinach makes this smoothie naturally green. i like to think of it as mother nature's food coloring. 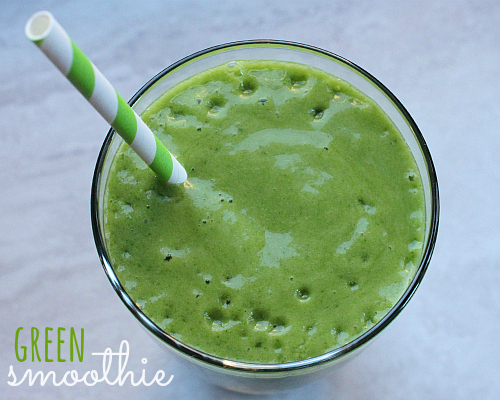 are you on the green smoothie bandwagon? 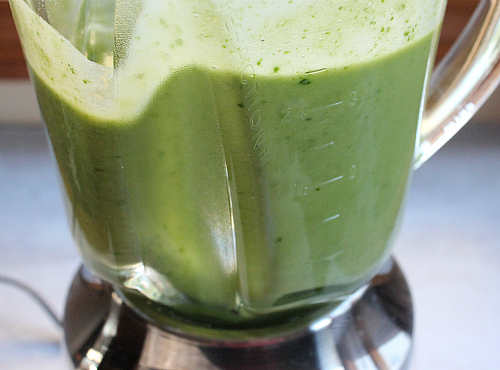 green smoothies are all the rage. (just try to scroll through your pinterest feed without coming across one.) some of them are appealing and some of them are appalling, but i'm happy to announce that this lovely green smoothie tastes great and packs a whole bunch of nutritional value too. just think about all of the awesome vitamins and minerals floating around in there! 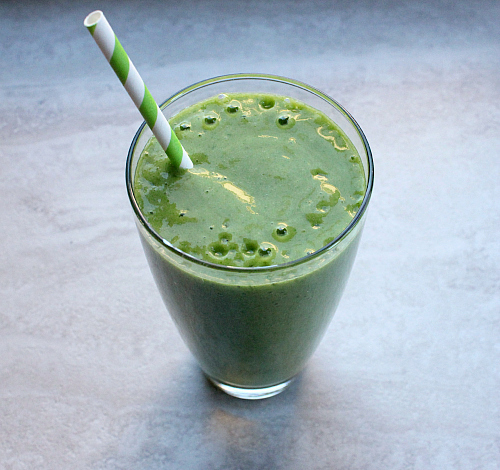 if your looking for a way to get your fruits and veggies (or a way to sneak more fruits and veggies into someone's diet) give this green smoothie a try.
. . . and have a happy st. patty's day this weekend! It looks good, but I don't think I will try it out on you-know-who!